I had a lot of fun preparing this post for you, so I hope you enjoy. On Sunday, we learned about where the colors of our foods come from, as well as their hues and concentration of these colors. I also talked a bit about how people make assumptions about foods based on these qualities. 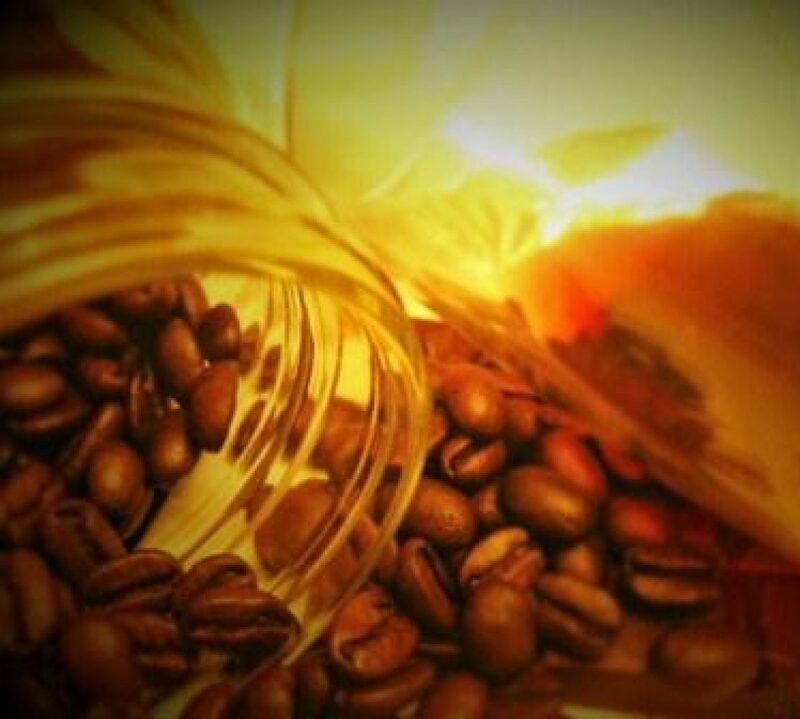 So far, I’ve referenced mostly wine, chocolate and coffee, so I figured this week I would talk about something from the product aisle. Now, I don’t know about you, but I love spicy foods. Not burn my mouth insane spice, but a good building heat always perks up my taste buds. I know that there are a lot of different qualities that can be compared between different styles of peppers; but today I am focusing on (obviously) color, hue, and concentration; as well as, how those qualities influence are preconceptions about foods versus the realities. In this particular instance I will measure what we suspected about the heat, flavor, and sweetness of each pepper, versus how they really affect the palate. Now, I know a little about predicting flavors in peppers. Generally the smaller the pepper the bigger the kick, and the redder the color the greater the sweetness. I am very curious to see how this stands up against reality. So, I picked out 6 different peppers from a range of colors and sizes: Red Bell, Sweet Twister, Poblano, Habenero, Jalapeno, and Serrano. #1. The Red Bell. This pepper presents as short and fat, with a deep red color with blue hues. We guessed that it would have a sweet, bold flavor with no heat. #2. The Poblano. The pepper was short, fat and a deep blue green. We guessed that it would have medium to low heat, a bold flavor, and a hint of sweetness. #3. The Sweet Twister. This pepper presents as long and fat with a vibrant medium red orange color with a yellow orange hue. Based on the size, color, and name, we guessed that it would have medium heat, a bold flavor, and be at least a little sweet. #4. The Serrano. We thought this long, skinny green pepper would be medium spicy with a ton of flavor and sweetness. #5. The Jalapeno. We expected this short-ish chubby emerald green pepper to be the second hottest of them all with a great flavor and no sweetness. #6. The Habenero. Everyone knows of this impressive pepper. It is short, wrinkly and vibrantly orange with yellow undertones. We anticipated a lot of heat, with a mild flavor and no sweetness. #1. The Red Bell. I have eaten many bell peppers, of all colors, so I am quite familiar with the flavor profile here. The red bell pepper had no spiciness, a bold fruity flavor, and a nice sweetness. It was very juicy and reminded us of crunchy watermelon. #2. The Poblano. We had anticipated a bit of heat on this one, but there was none. There was a ton of great flavor, and some really pleasant sweetness. This pepper had an overwhelming flavor of earthiness, like fresh leaves and sarsaparilla. #3. The Sweet Twister. This one was had even less zest or spice (if that is possible) than the Red Bell, with a more mild flavor, but a nice sweetness. It reminded me of a really good tomato. #4. The Serrano. We were surprised to find that this skinny pod packed a ton of heat along with a ton of flavor, but it wasn’t sweet. I definitely needed some dairy after this one. #5. 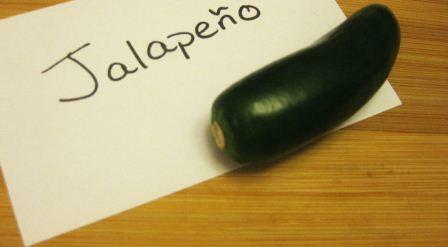 The Jalapeno. Again, we were surprised. This was not as spicy as we anticipated, being definitively beat out by the Serrano, and the flavor was overpowered as well. It did present with a mild flavor and hints of sweetness. #6. The Habenero. I urge you to not try this without something to ease the heat, and water does not work. These were intensely hot, even more than we had expected, but they also had a really great citrus flavor and nice sweetness. Hot as they are, I love adding a habenero, seeds and all, into my homemade hot sauce. In the end, if I were to organize these by mildest to hottest the order would be: Sweet Twister, Red Bell, Poblano, Jalapeno, Serrano, and finally the infamous Habenero. So, what did we learn?! Not to judge the pepper by its skin, but that on occasion an educated guess will save you from a temporarily destroyed palate. Peppers can come in many different forms, including being processed in many different ways. I have seen peppers fresh, dried, roasted, pickled, fermented, as well as ground into pastes and powders. Any type of processing has a huge impact on the flavor of the finished product, so keep that in mind. Have you experimented with different varietals of any produce? Know of a pepper that I skipped? Let me know below and I’ll review it and add it to a place in my list!